Many moons ago, ‘Wel Lakshe Wedi Handa’ was a very popular Sinhala drama, about a revolution brooding in the Uva Wellassa region, of South East Sri Lanka. At one time in our history, the area which is now described as Lower Uva, parts of the Badulla, Moneragala, and Hambantota Districts, were depicted as a fertile rice bowl to parallel the Raja Rata. Thousands of cascades of small irrigation tanks in the plains and in the mountainous regions, small and medium anicuts were used to divert, store and husband rain fall from the South West and North East monsoons, from seasonal oyas and perennial gangas, nurturing a civilisation which was the granary of the Uva Wel Lakshe and Ruhuna and the Kandyan Kingdom at various times of our history. During the Anuradhapura, Polonnaruwa and Kandyan Kingdoms, Uva Wellassa was physically located geographically many miles away from the Capital City where the King reigned. A Yuva Raja or regional satrap was generally appointed for Uva Wellassa. Or in other times a Disawe from among the courtiers was appointed to go and administer the Dissawaniya. The Uva Wellassa Yuva Raja was the Crown Prince or another junior Royal and the Disawe was a senior courtier who was trusted by the King. But following the famous dictum ‘Trust, but verify’, the Disawe had to leave his wife and family at the ancestral Walauwa in or around the capital city of Kandy. They were virtual hostages for the good behaviour of the Disawe, in far-off Uva Wellassa, where, far away from the day-to-day micro management of the Palace and its intrigues, the Disawe – as long as he maintained law and order, collected taxes and remitted them to Kandy, raised a peasant militia when the King needed it for battle, kept anti-Royal elements which would naturally gather in this remote corner of the kingdom under control and report to the Palace any usurper who could be fomenting a revolution – could govern the Dissawaniya virtually as he pleased, as long he had contacts and allies in the Palace at Senkadagala Kande Maha Nuwara who would keep him briefed of any attempt to subvert him in the confidence of the King and the other senior courtiers. The sad episode of Adigar Ehelepola, whose wife Ehelepola Kumarihami and children were brutally murdered, while living in Kandy, for the alleged traitorous activities of the Adigar, is an example of the risks involved in running afoul of the King and other jealous courtiers. Due to its remoteness, Uva Wellassa always nurtured an independence and free spirit which was deeply resented and suspect by the King and the courtiers in Kandy, to whom the people of Uva Wellassa showed no servility. Close links with spice and salt traders, both Muslim and Sinhala from the maritime provinces, controlled by successive European powers, were always the basis of jealous courtiers trying to poison the mind of the King against a Disawe who was in their jealous estimation getting ‘too independent and uppity’! In ancient times the borders of Uva Wellassa were said to be from the east Muttettuwegama, the West the Hakgala Kadawatha Mountains, the South Kirindi Oya and the North the Bibile Fort Rubeiro the Portuguese chronicler has written that ‘the kingdom of Uva stretched from the Sri Pada Mountain to Batticaloa to the limits of the Kingdom of Kandy’. At various times the divisions of Udukinda, Madikinda, Yatikinda, Buttala, Wellawaya and even Tissa and Walapane, were taken to mean the Uva Wellassa region. The fate of Uva Wellassa, blessed with the presence of the jungle shrine of Kataragam Deviyo on the banks of the Menik Ganga, waxed and waned with the history of the Raja Rata, Ruhunu Rata and Kande Uda Rata kingdoms. During times of peace and tranquillity, when just rulers in terms of that golden rule of good governance – ‘Devo Wassatu Kalena, Raja Bhavatu Dhammiko’ (may the rains fall on time and may the Ruler be just) – the one hundred thousand paddy fields produced surpluses of rice which were distributed to all parts of the kingdom and even exported from this veritable ‘Granary of the East’ to enable all citizens to enjoy a good quality of life. Where there was inequity and an and unjust ruler, exploiting the people, ferment and rebellion and resistance was naturally kindled in the Uva Wellassa region, far away from the capital city and inhabited by a tough breed of independent-minded men and women. Indeed ‘Wel Lakshe Wedi Handa’ throughout our history heralded the revolt of the downtrodden and deprived citizenry against unjust rulers. In some cases the revolts were successful and a new ruler was installed on the throne promising to rule in a just and fair manner. Unfortunately, it was not in all cases that the humble people of Uva Wellassa were able to overcome the might of state power, and once the rebellion was suppressed retribution in the most brutal manner was taken by the ruler and his acolytes, which will make the Saddam Husseins and Qadaffis of today seem like saints by comparison. Such actions only resulted, predictably, in the collective memory of the Uva Wellassa people being strengthened by these inequities and the seeds of the next rebellion being sown. Such are the lessons of history. In 1817, once again, the people of Uva Wellassa revolted. They rose against the British for not honouring the clauses in the Kandyan Convention, by which the Chiefs ceded the Kandyan Kingdom to the British conditionally. Madugalle, the Uda Gabada Nilame, conspired with senior monks to spirit away the symbol of State power, the Sacred Tooth Relic, from the Dalada Maligawa in Kandy. The British suspected the loyalty of the Chief Adigar Molligoda, he was tried summarily and dismissed from office, and exiled to Colombo under arrest, without being allowed to bid farewell to his family. The Governor ordered his Walauwe to be burnt and his possessions were confiscated and sold. The Kandyans were incensed by this brutality. William Tolfry the British Chief Translator in Kandy, warned the Commissioner in Charge of Kandyan Affairs, Sutherland, that there was an impending revolt. Vilbawe, a Malabar relative of the last King, moved to Uva Wellassa from Sat Korale and fomented the revolt. At this time, the British administration did an utterly foolish thing. The Government Agent of the Eastern Province appointed a Malay Muhandiram as Chief of the Madigey Department. This was post held previously by Sinhala officials. A Vedda marksman assassinated the Muhandiram. Major Wilson with 15 Malay sepoys of the Ceylon Rifle Regiment and a British officer set off to capture the assassins. He had seriously underestimated the hostility to the British. The troops were ambushed, Wilson was killed and decapitated. The British sent in reinforcements. Major Macdonald of the 19th Regiment, Captain Richie of the 73rd Regiment. They advanced into Uva Wellassa and found Major Wilson’s head impaled on a pole, with an ola leaf wrapped in a white cloth, which was a proclamation by Vilbawe declaring himself King and calling on the people to drive out the British. Sir John D’Oyly, the administrator of the Kandyan provinces, dispatched Monarawila Keppetipola Disawe with arms and ammunition to take on the rebels. A leader of the rebellion, Kohukumbure Raterala, met Keppetipola and convinced him to join the rebels to drive out the British. Monarawila Keppetipola took 500 men and joined the rebels, but returned the arms and ammunition D’Oyly had given him. The British in a panic summoned reinforcements from Madras – one battalion of European Infantry and another battalion of Sepoys from the Madras Native Infantry. The British put on the pressure. They desolated the Uva Wellassa region – all males between 15 and 60 years were driven out, exiled or killed, houses were burnt, paddy burnt. It is said paddy looted from the traditional storage in bissas and atuwas in village dwellings was burnt for two consecutive weeks on the Badulla esplanade. Livestock were killed, irrigation works destroyed, wewas breached and anicuts cut. A brutal policy of scorched earth, in every sense of the word. The British had a stroke of luck – an officer of the Ceylon Rifle Regiment took his men and pretended to cross over to the rebels. They met with Kohukumbure Raterala and captured him. The people of Uva Wellassa were feeling the pressure of the total violence bordering on terrorism they were being subjected to and the scorched earth policy. The British Governor offered lenience to rebels who surrendered. Starvation and deprivation took its toll. The people had no choice but to surrender in the face of this State terror. The Chieftains, Monarawila Keppetipola andMadugalle were captured, they were court martialled and executed. Writing in 1884, historian Charles Macfarlane says “The war was now entirely ended, but dreadful and disgraceful had it been during its process Execrable cruelties had been practiced, as well as the native troops in our service as by the Singhalese; and we blush to admit that our British-born, and our Irish soldiers, had, in many cases, turned the contest into a war of retaliation and extermination. In 1821, John Day, a British army physician, speaking on the British role in the Kandyan Provinces after the rebellion said: “And we shall have much to answer for, both politically and morally, if we do not exert ourselves, and, availing ourselves of the capacity, ameliorate the condition of the people, and improve the state of the country… If these sanguine sentiments be not realised, the natives may well rue the day we crossed their mountains, and deplore the time when their old system of government was overturned.” Hambantota’s one-time Government Agent, Leonard Woolf captured the penury in his classic novel ‘Village in the Jungle’ of 1913. In 1970, after the change of government, many senior government servants were abruptly sent on transfers to remote outstation postings, including Bradman Weerakoon to Ampara, Neville Jayaweera to Vavuniya and W.J. Fernando to Moneragala as Government Agents. W.J. Fernando was appalled at the condition of the average resident of Moneragala and rapidly put together the Lower Uva Development Plan to ameliorate their condition. His basic argument was that the people of Uva Wellassa in general, and Moneragala in particular, Lower Uva in his definition, were in 1970 still suffering the deprivations imposed by the marauding British troops’ scorched earth policy during the suppression of the 1817 rebellion, so well-chronicled years before by White and Macfarlane. Clearly, Dr. John Day’s prophecy had come to pass. Uva Wellassa was, true to their history and reputation for revolt, a trouble spot in the 1971 and 1989 insurgencies. In 2014, history repeated itself; the first rounds of gunfire of an impending revolt were again heard from Uva Wellassa. A young politician, Harin Fernando, energised the people of Uva Wellassa, and has given the governing party a fright from which they are still to recover! The headline in a Government newspaper ‘58% landslide’ says it all! Some landslide! Disastrous debacle more likely! 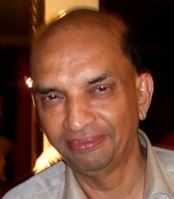 The Opposition had to take on not only the party in Government but the might of the Government of Sri Lanka – State power. Everything was thrown into Uva Wellassa – State machinery, men and materials; even the military, it is reported, did a tattoo! Election laws were observed more in the breach. Bribery and treating were rampant. The Election Commissioner commendably stopped the distribution of spurious ‘drought relief’ solely in Moneragala, out of all the drought-affected districts; the Judiciary allowed it! (The proverbial ‘bread and circus,’ which has been used to try to win over the public since the time of the Roman Emperors at the Coliseum in ancient Rome! )The Uva provincial election was scheduled as the clincher – the cakewalk, before the presidential election, the walkover which will show the might of the regime. But the result was so scary to the incumbents that some are seriously talking of a referendum to extend the life of Parliament before a presidential election – a suicidal option if there was ever one. What are the lessons of the 2014 ‘Wel Lakshe Wedi Handa’? Analysts have drawn many. The first would be that the United National party is not the ‘write-off’ its detractors would make it out to be. There is a residual vote base which can be effectively mobilised. Second, the anti incumbency to the present dynastic regime is finally kicking in. Third, any electoral alliance will be meaningless without the leadership of the UNP; other parties were virtual nonstarters in Uva Wellassa. Fourth, economic resources for an election campaign will appear, if the donors have confidence in the team who is contesting. Fifth, elections are won by: first, an effective political organisation; second, volunteers who are organised; and third, who are effectively led! No salaried government servant can match the enthusiasm of a volunteer-driven political campaign. Political parties must have strong grass root political organisations – salaried State employees, however ‘Samurdhi-math,’ ‘Divi Neguma-ised’ or ‘Chinthana-ist’ they may be is not a substitute. Sixth, party unity at the leadership level is fundamental; pulling in various directions by so-called leaders has a negative effect on voters. Seventh, to give preferential votes at elections, the voters choose new faces; the same old candidates who have been in the scene continuously for umpteen years cannot attract votes. At least take a sabbatical or otherwise reinvent yourself! Eighth, whatever presidential election offices are declared open at auspicious times, there is a doubt whether it will be a presidential election or a referendum to extend the life of Parliament which will take place next. Ninth, political parties can gain popularity by introducing a new younger generation of leaders to voters at the hustings – witness the impact by Harin Fernando (173,993 preference votes) in Uva Wellassa. Tenth, political parties’ leadership cadres must be seen to be pulling together in a unified manner during elections. The right hand promoting and the left hand demoting, cutthroat-ism causes confusion among supporters and voters. Already there is a blame game among senior Government ministers! It looks like it’s back to that old Chinese curse, ‘May you live in interesting times’! There is talk of an early Appropriation Bill and an early Budget. The much-trumpeted visit of His Holiness the Pope is also up in the air, due to the election calendar changes. Presidential election or extending Parliament? That is the million rupee question. Whatever the option is, it will be a gamble. Voters will resent extending this same old Parliament. If it’s a presidential, the anti-dynastic, anti-incumbency will kick in with a vengeance. Uva Wellassa lives up to its historical reputation of a harbinger of revolt and change! The suffering that has been visited upon the people of Uva Wellassa, historically and today even, post-polls violence and lack of the rule of law, will only accentuate the anger and frustration. This will be certainly a potent recipe for future reaction. Many thanks Charitha for another fine piece! The hardship that people face, reflected in the Uva elections, is due to the politicization of the Central Bank and the manner in which the people of the country are forced to pay for the huge economic mess that Nivard Cabraal is making and the culture of living on borrowed monies which is endangering the banking sector in the country. We hear about the politicization of the Judiciary incessently on this website but not enough about the POLITICIZATION OF THE CENTRAL BANK. Nivard Cabraal is involved in short term manipulation and speculation with savings of average people at this time. We do not know the real inflation rate because Nivard Cabraal wants to embark on a borrowing spree from local banks and is now trying to drive interest rates into the ground – single digits – so he can borrow at low rates from local banks. The interest rates on fixed deposites which is what the elderly live on has dived within six months from 13 percent to 6 percent. Now Cabraal is forcing people to take out their monies and spend on consumption! The CB has lied about inflation rates in order to cut down interest rates. Nivard Cabraal must be held accountable and the politicization of CB explained to Sinhala Modayas who are suffering as a result of policy instability and political circus of premature elections. CT editors we need more political economic analysis in these columns! Wrong.The results of Uva -totally no bikering about it-Harin Fernando.As you correctly state Uva has a history of fighting unfair practises and cruelty.If the bogus unity was not hoisted upon the people, then even Moneragala could have been won.You refer to 1989, when the Butcher of Moneragala was leading the country. His son spoke about the butcher and nothing else for one and half hours. 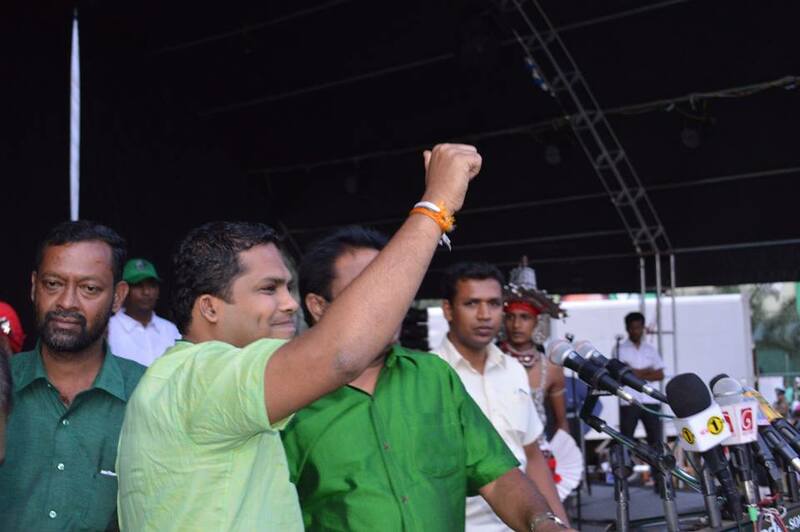 He came with his cheering catchers.With the Butcher’s son and the UNP also ignoring the plight of the minorities and the poor and the depressed do you think that the UNP can win?The block vote that was the Colombo central was ignored by the UNP and the son of the Butgher. For those who suffered under this govt the UNP is not a solution.It is the party that drank champaign when they were suffering. Come again Mr Ratwatte.The UNP is hated as much as the UPFA. We need a new set in politics. Can you look in the mirror and truthfully say that UNPs policies can save this country from the debt trap? How are we going to repay these monies.Can this govts useless expenses can be settled or dues met by a UNP govt.These expenses had not been sanctioned by the parliament and the UNP did not protest. What Mr RW has to do now put the illegal ruler home even before an election? 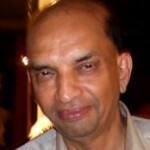 Raanil Wickramasinghe has to come out of is ahell and be ready to do what is needed to be done right there, right now! Opposition has to stand up from its present headless-chicken approach and roll up its sleeves to send this useless idiot home, not in an P-election but now. Go to the SC and make file a case to annul the Uva PC seat allocation. Which MR illegally changed avoid defeat. Otherwise UNP +JVP could have been jointly in power. Why Mr. RW and the leaders in the party are quiet and lie low about it? That is where the real Wedi Handa to be shot on at. For the UNP losing is like winning! You nod to the 1989 uprising from Uva-Wellassa as a reaction to the unfairness of the then regime. Btw, on a side note, our country can’t afford another Premadsa or a Rajapaksha. They have played their hands and showed they are tyrants in white religious garbs. I think all these sinhala villages are now Muslim homeland. Great news Jim and that is what I have been waiting to hear all my life before I head off to join IS.